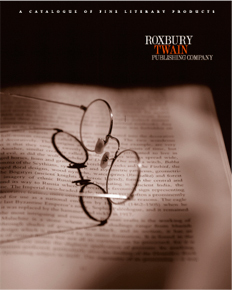 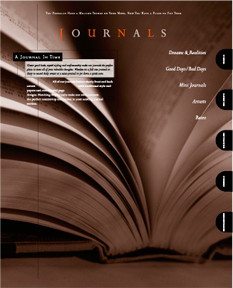 Roxbury Twain is a publisher of branded bookmarks, writing journals and other published ephermera. 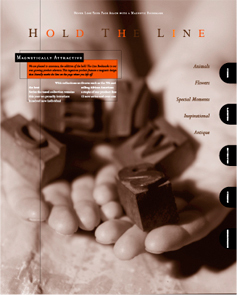 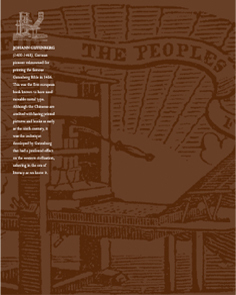 Cover and series of interior page layouts shown. 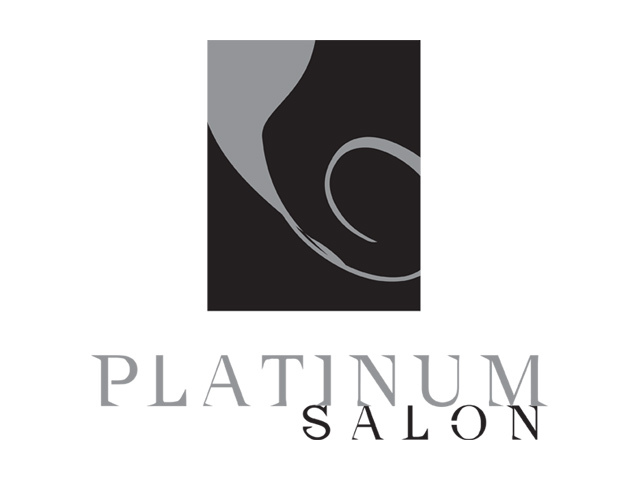 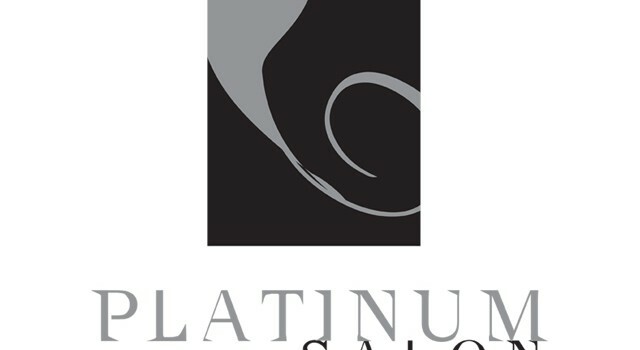 This cutting edge logo was created along with a website for Platinum Salon – located in the historic (and haunted) Yankee Pedlar Inn in downtown Torrington, CT. We have also provided a wide variety of printed collateral, advertising and promotional items for the salon. 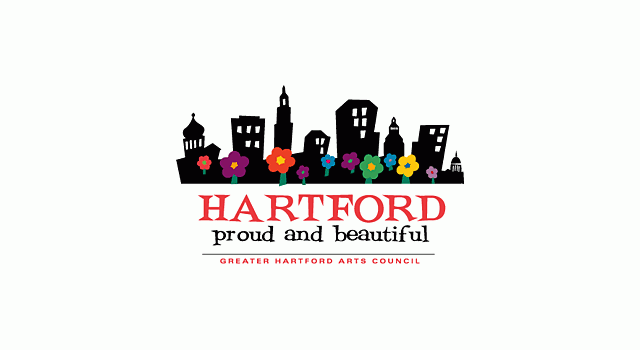 Stylized illustration of the Hartford skyline is depicted in this playful logo design for an agency specializing in litter/graffiti reduction and street/flower plantings throughout the downtown area. 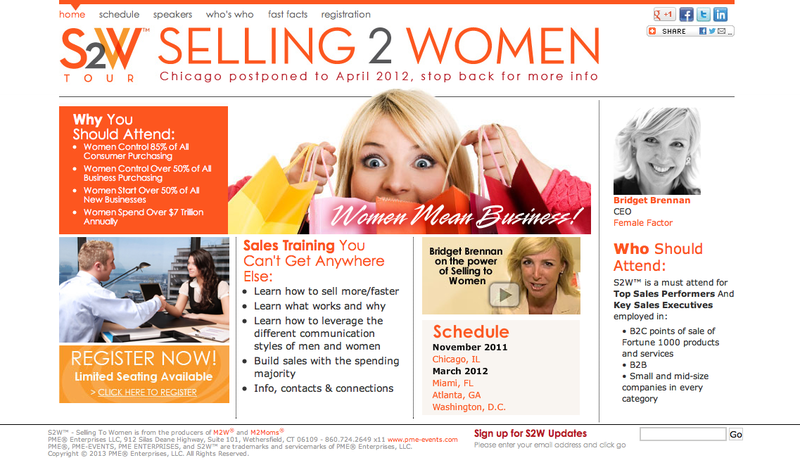 This week long national conference on Selling to Women features many well known speakers, branding experts and marketing leaders. 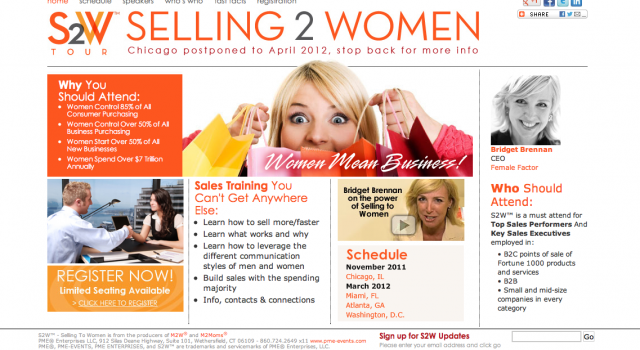 The conference is to be held in various locations throughout the country with the first event taking place in Chicago. 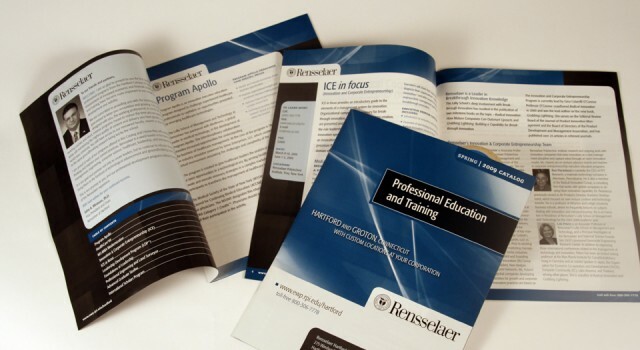 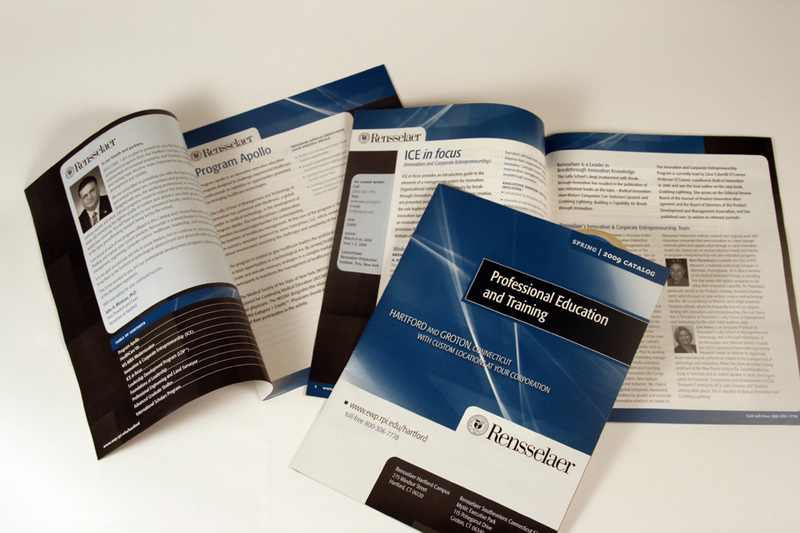 Components included logo/identity, direct mail and website development. 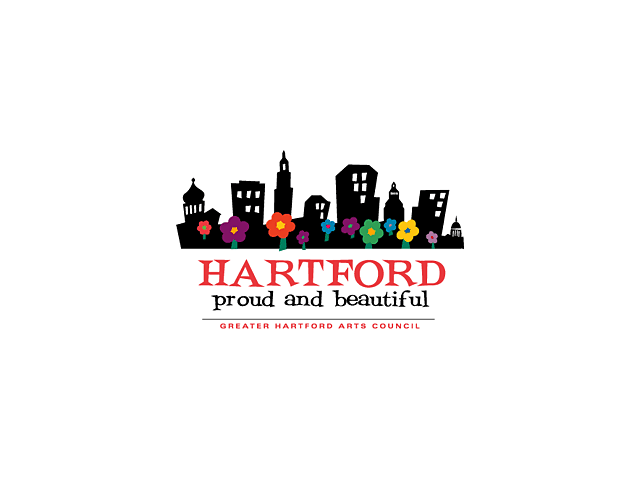 This brandmark utilizes an illustration based on a prototypical corporate office building. 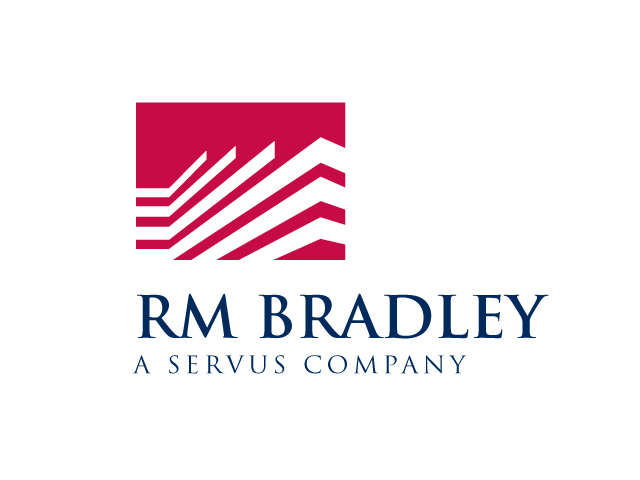 RM Bradley a highly respected real estate service provider, offering commercial and residential brokerage, property management and advisory services throughout the Northeastern United States. 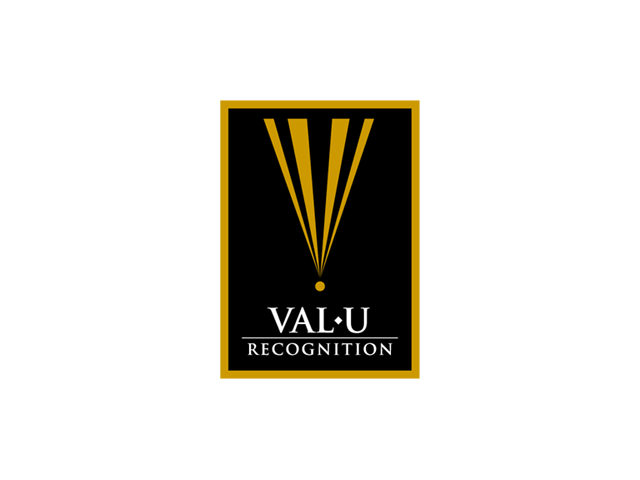 Logo design for a firm specializing in corporate and employee awards recognition programs. 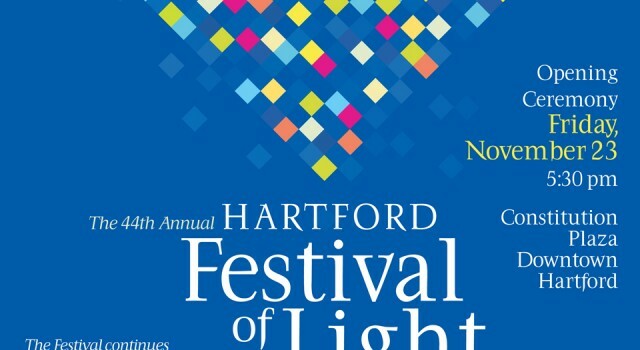 Kelly Design created this logo treatment for the CT Veterans Paradewhich is utilized as the trademark for this annual parade – the largest in New England, and one of the biggest salutes to veterans in the entire U.S.
Our illustration of the Soldiers & Sailors Memorial Arch in Hartford’s Bushnell Park was featured in this poster. 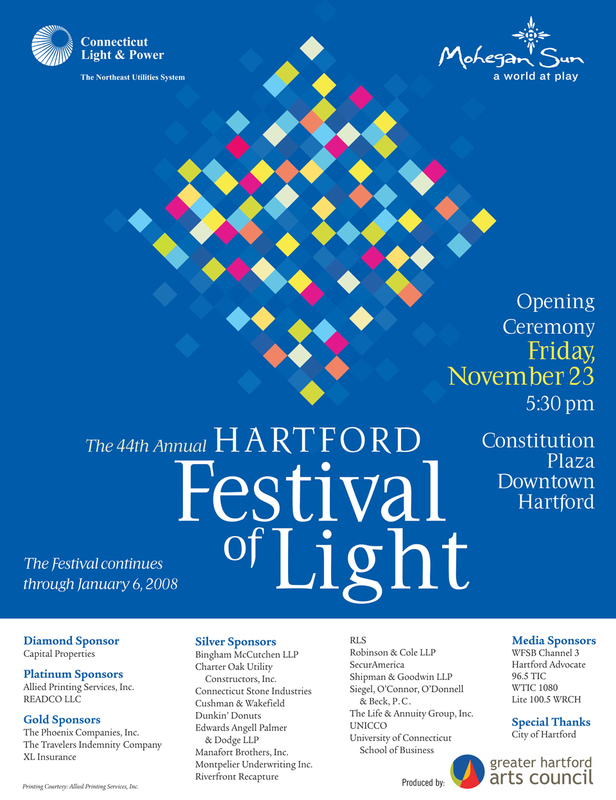 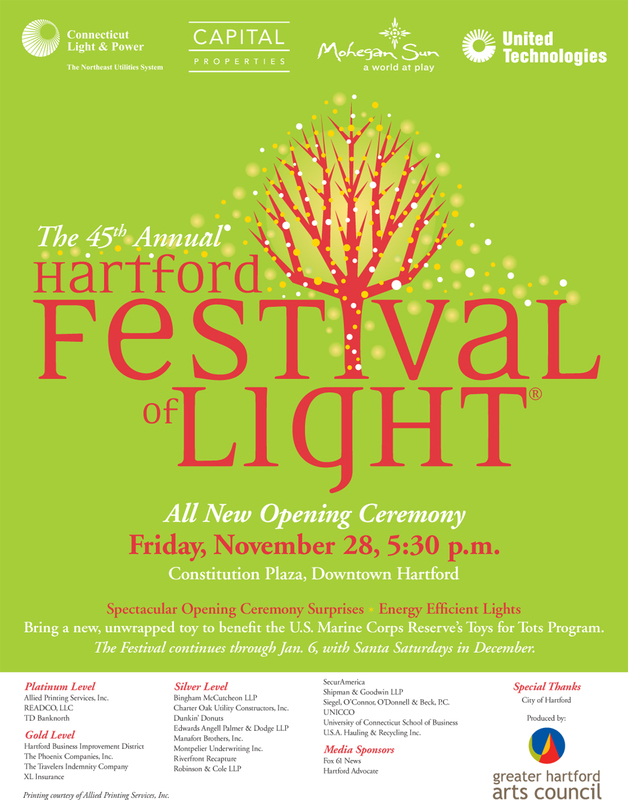 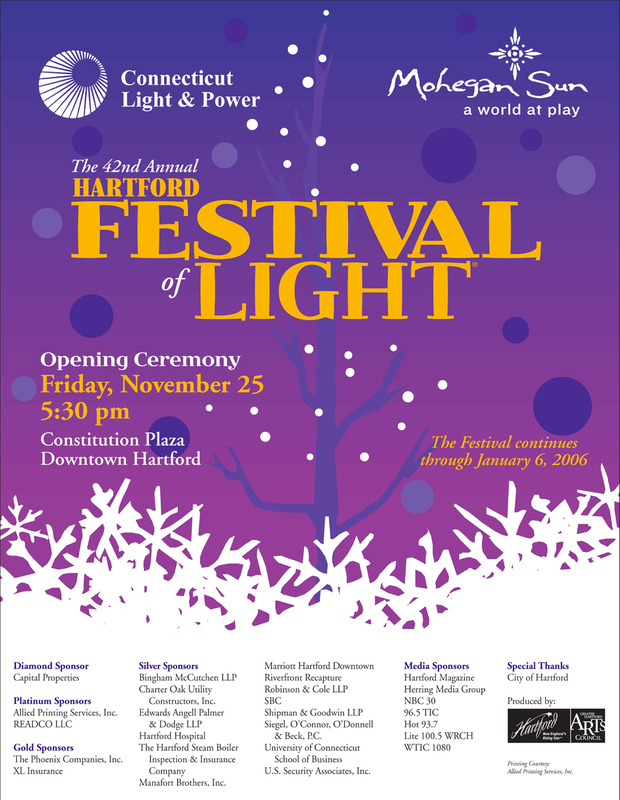 Design and illustration provided for this annual holiday tree lighting festival in downtown Hartford. 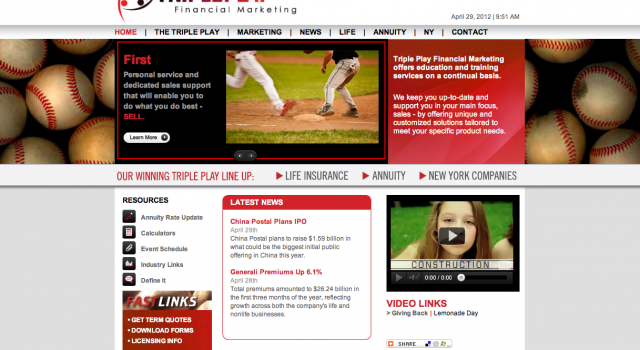 Site built using Concrete 5 (CMS) Content Management System. 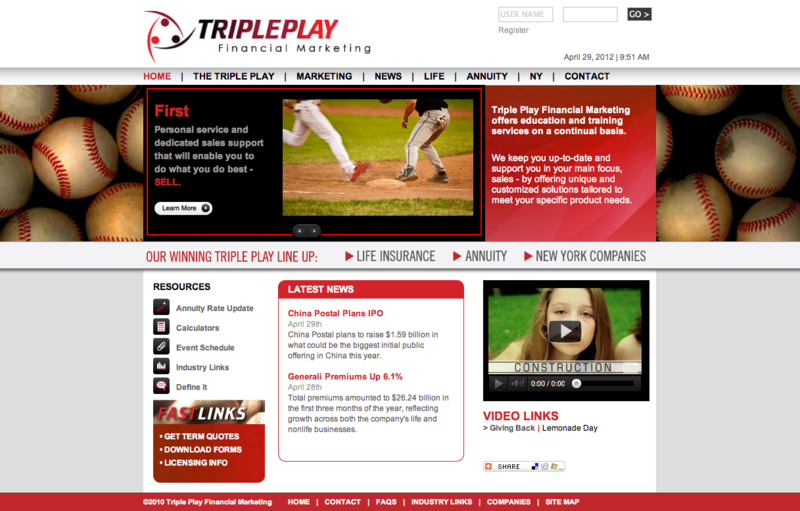 Features, RSS Feed, Secure Access to financial tools and reporting.